Vienna/AUSTRIA, Phoenix, ML/USA, January 23, 2018: THQ Nordic today announced signing a global distribution deal (excluding the Korean language version) for Pillars of Eternity II: Deadfire with Versus Evil. Currently in development for PC, MAC and Linux by Obsidian Entertainment, the physical edition of the game will be brought to you by THQ Nordic. Further information on the content of the editions, as well as RRP and the release date to be announced soon. In Pillars of Eternity II: Deadfire, players embark on a dangerous voyage of discovery as they hunt down a god to save their own souls. 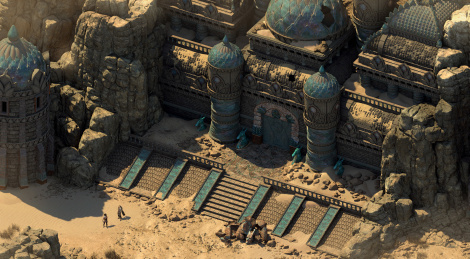 Building on the award-winning gameplay of the first Pillars of Eternity, every aspect of Deadfire has been improved and expanded. 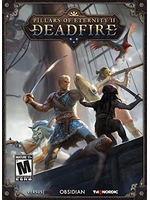 Vastly more detailed graphics, deeper game mechanics, increased player choice and reactivity, a new companion relationship system, streamlined combat, and an entirely new, hand-crafted adventure make Deadfire the ultimate cRPG experience. Players travel the far-flung region of the titular Deadfire Archipelago by ship, where they will discover new races, visit exotic islands, defend their ships against pirates, and, most importantly, choose their allies carefully, as there are powerful factions to encounter at nearly every port.